discourse, image formation, image reparation, security sector agency, strategic communication, strategy. This article highlights the corporate image as a strategic communication tool for security sector agencies. The prospects of image for a security sector agency are outlined with regard to image formation and reparation. Image formation is based on the principles of objectivity, openness, credibility and trust whilst avoiding deception and manipulation. Best practices and failures in image formation are listed from the U.S. and Ukrainian security sector agencies’ experience. The suggested guidance on image formation for security sector agencies encompasses the author’s recommendations on effective image formative discourse and the corresponding institutional policy development. The image of security sector agencies is a powerful tool of hybrid wars in the information and communication domain. Within a global war scenario, image is regarded as a weapon for shooting the agency’s discourse with the desirable precision, accuracy, rate and volume. The image of security sector agencies is effectively used to target the audience’s mind and way of thinking in wartime, as well as in peacetime. This article aims at determining the corporate image frame as a strategic communication tool for security sector agencies and outlining best practices for the image formation of security sector agencies. From the multifaceted perspective of strategic communication in general, it addresses the communicative aspects of image that influence the capability of security sector agencies. The underlying study is multidisciplinary and is at the intersection of several social and human sciences: philosophy, imageology, communicative linguistics, cognitive science, media linguistics, discourse studies and sociolinguistics. This synergistic nature results in the need to address different types of sources for a comprehensive literature review on the subject, the outline of best practices in the military and law-enforcement image formation and the construction of an image frame in the strategic communication of a security sector agency. Strategic communication gained special popularity in business, political and military domains in the second decade of the XXI century, and as a relatively new term, it still gives rise to discussions on its essence, scope and functions. The NATO Strategic Communications concept is designed to ensure that audiences receive clear, fair and opportune information regarding actions and that the interpretation of the Alliance’s messages is not left solely to NATO’s adversaries or other audiences. Strategic communication is vitally important nowadays for any security sector agency in any country. StratCom departments and/or other structures responsible for strategic communication have been established in practically every agency. In 2013 NATO launched its Strategic Communications Centre of Excellence in Riga, Latvia. The “Defence Strategic Communications” journal aims to bring together military, academic, business and governmental knowledge. It is a norm of our information age for security sector agencies to maintain their websites, have their own media and profiles on social networks. Recognizing the lack of doctrinal guidance, the U.S. Joint Forces Command composed and later updated its pre-doctrinal “Commander’s Handbook for Strategic Communication and Communication Strategy” in order “to help joint force commanders and their staffs understand alternative perspectives, techniques, procedures, ‘best practices,’ and organizational options.”  This Commander’s Handbook contains a comprehensive analysis of military capabilities related to information and communication (Figure 1). Figure 1: Strategic Communication Relationships. · Using factual information without lying, deception or speculation. · They are characterized by having few and/or weak competitors. Nowadays, strategic communication is differentiated from propaganda and counter-propaganda by the means and methods perspective. Strategic communication is based on the classic definition of ‘propaganda’—using factual, and accurate information—though “the word ‘propaganda’ itself, however, has taken on too much baggage over the last century to be useful in today’s context.”  In WWII, propaganda became a powerful weapon in the Nazi arsenal and was developed into the ‘Big Lie’ technique. Subsequently, the term itself was compromised and became a synonym for lies and deception. With its ultimate aim to influence the target audience and encourage it into action by providing the truthful ‘why’ information, strategic communication does not, or rather should not, use the propaganda tools of disinformation and manipulation, as it might have the opposite effect – loss of credibility and trust. For instance, NATO Strategic Communication is meant to coordinate all information and communication capabilities and this could not be done if the concept referred to deception: deception is only allowed in certain military capabilities, and not by all in every country. It’s a huge mistake for the Ukrainian government, for the Ukrainian people, to create a troll factory like St. Petersburg, churning out counter-propaganda in social media. It’s a huge mistake to create a ‘Ministry of Truth’ [Ministry of Information of Ukraine] that tries to generate alternative stories because Ukraine doesn’t need more propaganda machine, it needs more objective information. The image of a security sector agency is the audience’s impression of this organization that is rooted in the mass and/or individual consciousness. Image forms and develops as a result of processing the external information of this agency and its activity through the net of current stereotypes. Image is socially biased. Image is linked to reputation, the latter being based on the agency’s previous activity, and image being a social perception of the agency, based on attitudes, stereotypes and information obtained from outside. Thus, image is a social construct grounded on the audience’s interpretation and attitudes. 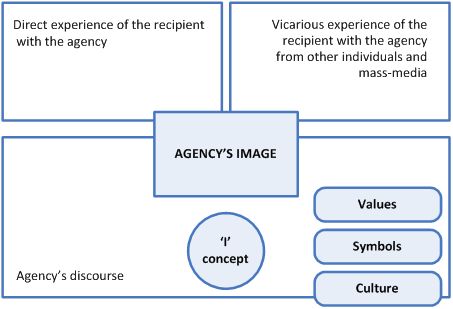 Image corresponds to the audience’s stereotypical and prototypical ideas on the agency as it should be, and it is able to substitute the agency or/and represent the agency in the audience’s perception. Image is a valuable tool in raising the respect of the agency that leads to sustainability and social development. Public support is crucial for security sector reform and depends not only on the reforms themselves, but on the public perception, grounded on the agency’s discourse and mass-media coverage of this process and security sector activity in general. Image is the agency’s communication tool which influences the audience’s perception of the agency’s discourse. At the same time, image is shaped by this discourse among the others. 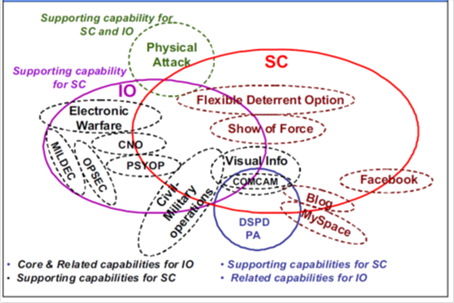 Figure 2: Communication Domains of Security Sector Agency’s Image Formation. · the agency’s discourse (web sites, media, press-conferences etc.). Image is formed explicitly and implicitly. Every media message on the military or law-enforcement contains an image formative aspect. Thus, positive image formation should be based on the strategy as a plan of communicative influence on the recipient. To influence the image formative process, the agency must model the image core element – its ‘I’ concept, which is a compromise between ‘real ME’ and ‘ideal ME.’ The desirable image for a security sector agency is the reduction of the discrepancy between the ‘I’ concept and the audience’s attitude to this agency. The agency’s leadership is responsible for outlining the ‘I’ concept. Then, appropriate image formative symbols and concepts are chosen to verbalize the desirable image, and this model is placed into real contexts in the form of the agency’s discourse. This is done by communicators – departments or individuals responsible for the agency’s strategic communication. Framing is critical because a frame, once established in the mind of the reader (or listener, viewer, etc. ), leads that person almost inevitably to the conclusion desired by the framer, and it blocks consideration of other possible facts and interpretations. · linguistic means for these tactics realizations. Table 1: Taxonomy of Image Strategies. The image strategies are flexible and can be realized by a number of communicative tactics. Appeal to common values includes the values of any security sector agency (Service), nation (Integrity, Patriotism), and society (Excellence, the Truth). The latest news and analytical publications in mass-media (July 2016: Police shooting in the USA, French police failure to prevent the terroristic act in Nice) prove a wide need to repair the image of these agencies in order to restore the trust of society and to enhance cooperation. W. L. Benoit states that “a damaged reputation can hurt our persuasiveness because credibility generally and trustworthiness in particular are important to persuasion.”  Negative image contains two main components: responsibility and offensiveness. · The fact that we are individuals with different priorities can create conflict arising from our competing goals. As communication has a potential to repair the damaged image, image reparation is intended to improve it and to reshape the audience’s attitudes. There are two key assumptions here: communication is a goal-oriented activity, and maintaining a positive reputation is one of the central goals of communication. The main communicative strategies for image reparation are summarized in Table 2. It is necessary to note, that image reparation discourse is included in a wider crisis communication along with other images with respect to other kinds of crises. Table 2: Image Reparation Strategies. The recipient of an image reparation message is defined based on the image damaging agent and the target audience of the image damaging message or attack that the agency is concerned about. The agency might need to repair its reputation with the image damaging agent, or with the image damaging agent and a wider target audience, or with the audience neglecting the image damaging agent. Nowadays, Ukraine’s Armed Forces and National Guard struggle to form a positive image in order to win the support of society. Different channels are used, including national mass media, official websites and social media. Mass media and social media monitoring shows that some of the steps undertaken in this direction are effective, others lead to misunderstanding and bring more harm to the general perception of these agencies. It is crucial to know what to tell and how to tell it, how to promote corporate values, how to present information on the reform process, etc. “Actual policy counts at least as much as how something is framed.”  All this belongs to strategic communication. Feedback is what any agency’s communicator needs to evaluate and validate his/her image formative strategy in order to improve or to change it. In 2003, the Center for the Democratic Control of Armed Forces (DCAF) in Geneva built a wide picture of the public image of security, defense and the military in Europe  based on public opinion polls and surveys. This publication, of course, does not reflect the current situation since many things have changed in the last 13 years; it rather highlights the necessity and usefulness of comprehensive opinion polls. Whilst such polls (as well as focus groups and discussions) are expensive, they can be substituted by Internet surveys that can give at least an idea of the agency’s image. One of the practices to communicate a positive image of the military to a wider audience is to use the so called “embedded reporters” – media representatives getting their “boots on the ground” experience with the troops in order to share it with their audience. Earlier in Iraq and later in Ukraine, the audience got a first-hand perspective of military life with the deployed U.S. troops and Ukraine’s Armed Forces. The U.S. experience showed that “even if the stories do not gain strong nationwide coverage, they do gain good regional coverage and, in many cases, this regional coverage is more appropriate.”  The efficiency of “embedded reporters” depends on the reporters’ credibility and the trustworthiness of the message. The image of security sector agencies in the USA is rather positive; the military are treated with respect by the public. At the same time, the 2014 clashes in Ferguson animated a debate regarding law enforcement’s relationship with African Americans, and the use of force by the police. Mass-media played a great role in presenting the facts and forming the attitudes of the audience to the unrest and to the police in general. · an invitation for collaboration to guarantee a just investigation, and a plea for understanding. This press conference was an attempt to break the rhythm of the negative story development. But it failed, as well as several others on the police department Facebook page. Unfortunately, the previously formed negative image had not been repaired. Consequently, the U.S. police were still connected to indiscriminate violence and the shooting of African Americans which became a fertile soil for implementing the conceptual opposition “WE vs. THEY” in the form of “POLICE vs. AFRICAN AMERICANS.” This conflict acquired additional impetus with the #BlackLivesMatter movement organized in 2013, and multiple democratic protests. The “POLICE vs. AFRICAN AMERICANS” opposition grew into a racial issue and led to actions against the police when eight police officers were killed in ten days. It is probable that the situation was aggravated and went out of control owing to the negative image of the U.S. police which negated the agency’s discourse being perceived by the audience as a means of resolving the conflict. Rebranding is a marketing tool and is initiated with serious reasons in mind. Rebranding in the security sector is done when the agency’s image cannot be repaired or when restoration is required on a constant basis. For instance, Ukraine, as well as several other countries in the area, inherited “interior troops” from the former USSR. Having such a formation within the country gave rise to many questions, like “Fighting against whom within the country? Against people?” The reputation and image of this military formation was spoiled completely after the clashes between Maidan protesters and these law-enforcement agencies in winter 2013-2014. The subsequent rebranding campaign was meant to be a reconciliation between the National Guard and the general public using the motto “new and improved.” However, given the strict time constraints and limited funds, the National Guard of Ukraine did not have a comprehensive strategy for rebranding based on mission, vision and values. Consequently, the process of re-establishing the National Guard of Ukraine turned out to be long, unstructured and chaotic with internal cultural conflicts, and the need for significant image reparation along the way. · appraisal quotes from world military authorities, e.g. General Hodges. As a result of this image campaign, the rapid reaction brigade now has a positive image within society, it attracts special attention and is a symbol of effective reform in the security sector of Ukraine. For the purpose of this study, one can follow two main directions for guidance on image formation for security sector agencies: effective image formative discourse and policy development. This section of the guidance is rather tactical, and has been composed for the communicators who are exercising strategic communication. From a pragmatic perspective, the recipient’s factor is the most significant for strategic communication since “it is not what you say, it is what people hear.”  Correspondingly, image formation depends on the recipient, too. Moreover, the recipient owns all the images shaped in his/her consciousness. Thus, all strategic communication messages should be composed with regard to the target audience’s variables: age, gender, occupation, life experience, education and assumptions. Even rhetorical skills nowadays are not only about speech, they are about recognizing social circumstances and grasping what the audience expects. An ideal message must bring some personal meaning and values to the recipient. For example, women generally respond better to stories, anecdotes and metaphors, while men are more fact-oriented and statistical. Taking into account that young people read less, image messages should be short with a catchy beginning and end. Values constitute the basis for a security sector agency’s image formation. The agency’s values shouldn’t contradict the values of a nation or a society. Any discrepancy in value systems can lead to a potential conflict. The choice of the value concepts depends on the agency’s mission and vision. Usually, the agency’s values are scrupulously formulated as a sound set of concepts. For instance, the Seven Core U.S. Army Values are Loyalty, Duty, Respect, Selfless Service, Honor, Integrity and Personal Courage. The values of the National Guard of Ukraine are Honor, Courage and, Law. To a certain extent, the image discourse of a security sector agency is determined by the leader’s personality. It is not only that the leader formulates the agency’s vision, it is that the leader personifies the agency. The audience tends to form attitudes based on the leader’s attributes, thus the requirement for the leader is to have a strong communication personality. At the same time, “messengers who are their own best message are always true to themselves.”  There are examples when leaders are exaggeratedly public, preferring to communicate intensively to the audience via social media. It is an art for a leader to find a necessary balance, but openness usually contributes to an agency’s positive image. It presupposes that the leader will participate in press-conferences, interviews, image events, etc. Message persuasiveness is not reached solely by rational arguments and facts. The emotional component can be dominant for many audiences. The personalization and humanization of a message can help to trigger an emotional remembrance. Proceeding from the statement that if “you want to reach the people, you must first speak their language,”  “the Ten Rules of effective language”  are applicable for image formative messages: Simplicity, Brevity, Credibility, Consistency, Novelty, Sound, Aspiration, Visualization, Questioning, and Context. The image formative message content is conveyed by language and visual means. The visual means are gradually acquiring more significance owing to the younger generation’s kaleidoscopic picture of the world which is the result of the shift in our thinking towards the ‘clip’ style of presentation. Visuals are widely used to support security sector agencies discourse. A short motto ‘Aim High’ on the official site of the U.S. Air Force Recruiting  is endorsed by an exciting video aimed at the emotional sphere of the recipient. Image formative messages can be rolled into mottoes and slogans. The quality dimension for a message prevails the quantitative one. The main requirement is that successful, effective messages stick in our brains and never leave, and they also move people to action. Consistency and coherency are related to the recipient factor as they are linked to the audience diversity. Coherency is not a linear feature. Messages need to be different for different audiences. Instead of the same ‘universal’ message distribution via different channels, the image formative messages, as well as the agency’s discourse in general, represent a wide range of diverse messages on the same topic for different contexts and different audiences. The point here is that these messages should be consistent, coordinated, coherent and mutually reinforcing. StratCom is still a long way from being a supported—rather than supporting—capability, since for communications to sit at the heart of strategy, there is a strong demand for clear ‘top down’ direction at the military and political level. Image potential to increase the organization or agencies capability is not explicitly recognized in the existing strategic communication policies. For instance, image is not included in the NATO Policy on Strategic Communications, but among the six key principles “soliciting public views” is mentioned  which indirectly refers to image. o The communicator’s role, structure, rights and responsibilities. · A requirement to conduct a SWOT analysis (strength, weaknesses, opportunities, threats) of the agency’s image on a regular basis in order to monitor the situation and enforce the image consistency with the ‘I’ concept. Strategic communication is an umbrella term for a wide scope of a security sector agency’s communications, including discourse and actions. Within a security sector, strategic communication applies to all existing information and communication capabilities, and it is not limited to media activities. As strategic communication is directed towards “winning hearts and minds,”  the image of a security sector agency becomes a crucial tool in this endeavor as it contributes to the recipient’s attitudes to this agency, his/her behavior and support actions. The image of a security sector agency is a social construct grounded on the audience’s perception, interpretation and attitudes. Shaped in strategic communication, it functions as a filter in the recipient’s consciousness for receiving external information concerning the agency. For a security sector agency, image formation is a comprehensive process, supported by a corresponding policy or doctrine that states the agency’s ‘I’ concept with the values indicated. The communicator in charge of the image formation process develops the agency’s discourse in conformity with the policy, monitors the image realization in real contexts and introduces modifications to enforce or repair the image when necessary. As a tool of strategic communication, image formation is based on the same principles of objectivity, openness, credibility and trust, avoiding deception and manipulation. Though, there is always a possibility that the security sector agency’s image may be misused by the agency and the media. Further research into the problem may be able to identify the mechanism of bilateral shaping between image formation and strategic communication in the security sector and its opportunities and threats. Dr. Iryna Lysychkina is Associate Professor, Chair of the Department of Philology, Translation and Lingual Communication at the National Academy of the National Guard of Ukraine, Kharkiv, Ukraine. Derina Holtzhausen and Ansgar Zerfass, “Strategic Communication: Opportunities and Challenges of the Research Area,” in The Routledge Handbook of Strategic Communication, 74. PO(2009)0141, cited via Reding and Weed, “NATO’s Strategic Communications,” 4. Kenneth E. Kim, “Framing as a Strategic Persuasive Message Tactic,” in The Routledge Handbook of Strategic Communication, 285. Andreas Antoniades, Ben O’Loughlin, and Alister Miskimmon, “Great Power Politics and Strategic Narratives,” Working Paper No. 7 (2010), The Centre for Global Political Economy, University of Sussex, accessed August 3, 2016. doi: 10.4324/9781315770734. Jens Ringsmose and Berit K. Børgesen, “Shaping public attitudes towards the deployment of military power: NATO, Afghanistan and the use of strategic narratives,” European Security 20, no. 4 (2011): 505-528, accessed August 3, 2016. doi:10.1080/ 09662839.2011.617368, 513-514. Richard Halloran, “Strategic Communication,” Parameters 37 (Autumn 2007): 4-14, accessed August 3, 2016, http://strategicstudiesinstitute.army.mil/pubs/parameters/Articles/07autumn/halloran.pdf, 6. Geoffrey Pyatt, Remarks by Ambassador Pyatt at the “Countering Information War in Ukraine,” Conference, January 29, 2016. In: Speeches and Interviews by Ambassador Geoffrey R. Pyatt – Embassy of the USA in Ukraine, accessed August 3, 2016, http://ukraine.usembassy.gov/speeches/pyatt-01292016.html. Pyatt, Remarks by Ambassador Pyatt. Antti Sillanpää, “Strategic communications and need for societal narratives” (paper presented at The Riga Conference 2015, Riga, November 13, 2015), accessed August 3, 2016, https://www.rigaconference.lv/rc-views/22/strategic-communications-and-need-for-societal-narratives. Alexey Olianich, Presentational Theory of Discourse [Prezentacionnaya teoria diskursa] (Moscow: Gnosis, 2007), 107. Baton Rouge Police Press Conference on Alton Sterling 7/6/16, accessed August 3, 2016, https://www.youtube.com/watch?v=II0CTp_x5Tg. “The Army Values,” accessed August 3, 2016, https://www.army.mil/values. “National Guard of Ukraine,” accessed August 3, 2016, http://ngu.gov.ua/ua. “U.S. Air Force Recruiting,” accessed August 3, 2016, https://www.airforce.com. Rita LePage, Mapping of StratCom practices in NATO countries (Riga, Latvia: NATO Strategic Communications Centre of Excellence, 2015), accessed August 3, 2016, http://www.stratcomcoe.org/mapping-stratcom-practices-nato-countries-0. David Kilcullen, “If we lose hearts and minds, we will lose the war,” The Spectator, May 20, 2009, accessed August 3, 2016, https://www.spectator.co.uk/2009/05/if-we-lose-hearts-and-minds-we-will-lose-the-war/. Torp, Simon M.. "The Strategic Turn in Communication Science: On the History and Role of Strategy in Communication Science from Ancient Greece." In The Routledge Handbook of Strategic Communication, 24. New York, London: Routledge, Taylor and Francis Group, 2015. Zerfass, Derina Holtzhause. "Strategic Communication: Opportunities and Challenges of the Research Area." In The Routledge Handbook of Strategic Communication, 74. New York, London: Routledge, Taylor and Francis Group, 2015. Kim, Kenneth E.. "Framing as a Strategic Persuasive Message Tactic." In The Routledge Handbook of Strategic Communication, 285. New York, London: Routledge, Taylor and Francis Group, 2015. Antoniades, Andreas, Ben O’Loughlin, and Alister Miskimmon. Great Power Politics and Strategic Narratives In Working Paper. The Centre for Global Political Economy, University of Sussex, 2010. Ringsmose, Jens, and Berit K. Børgesen. "Shaping Public Attitudes Towards the Deployment of Military Power: NATO, Afghanistan and the Use of Strategic Narratives." European Security 20, no. 4 (2011): 505-528. Halloran, Richard. "Strategic Communication." Parameters 37 (2007): 4-14. Pyatt, Geoffrey. Remarks by Ambassador Pyatt at the “Countering Information War in Ukraine” In Speeches and Interviews by Ambassador Geoffrey R. Pyatt – Embassy of the USA in Ukraine, Conference, January 29, 2016., 2016. Sillanpää, Antti. "Strategic communications and need for societal narratives." In The Riga Conference 2015. Riga, 2015. Olianich, Alexey. Presentational Theory of Discourse [Prezentacionnaya teoria diskursa]. Moscow: Gnosis, 2017. Lakoff, George. The ALL NEW Don't Think of an Elephant! Know Your Values and Frame the Debate. White River Junction, VT: Chelsea Green Publishing, 2014. Benoit, William L.. "Image Repair Theory in the Context of Strategic Communication." In The Routledge Handbook of Strategic Communication, 304. New York, London: Routledge, Taylor and Francis Group, 2015. Luntz, Frank. Words That Work: It's Not What You Say, It's What People Hear. New York: Hyperion, 2007. Vlachová, Marie. Public Image of Security, Defence and the Military in Europe. Belgrade/Geneva: Goragraf and DCAF, 2003. Krebs, Ronald R.. Narrative and the Making of US National Security. New York, NY: Cambridge University Press, 2015. Werder, Kelly P.. "A Theoretical Framework for Strategic Messaging." In The Routledge Handbook of Strategic Communication, 278. New York, London: Routledge, Taylor and Francis Group, 2015. LePage, Rita. Mapping of StratCom practices in NATO countries. Riga, Latvia: NATO Strategic Communications Centre of Excellence, 2015. Kilcullen, David. "If we lose hearts and minds, we will lose the war." The Spectator (2009). APA style: Lysychkina, I. (2017). The Image of Security Sector Agencies as a Strategic Communication Tool. Connections: The Quarterly Journal. 16(3), 5-22. Chicago style: Lysychkina, Iryna. "The Image of Security Sector Agencies as a Strategic Communication Tool." Connections: The Quarterly Journal 16, no. 3 (2017): 5-22. IEEE style: Lysychkina, I., "The Image of Security Sector Agencies as a Strategic Communication Tool", Connections: The Quarterly Journal, vol. 16, issue 3, pp. 5-22, Summer 2017.